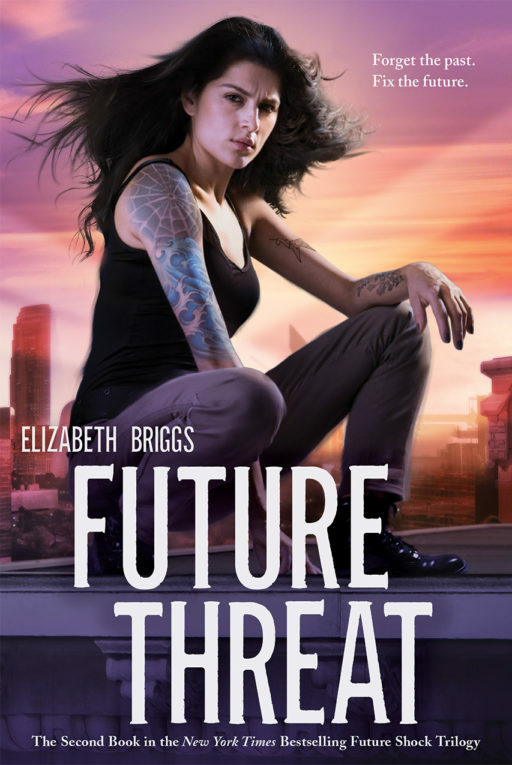 Future Threat is a great continuation to an exciting series. The story picks up with Elena trying to move on from what had happened during and after their first time travel but isn't doing too well with that. She's also still finding it hard to let go completely and trust in the love between her and Adam. And while I wasn't a complete fan of Adam in the first book, I did grow to like him and he's not too bad in this one either. Things get even more complex for the three remaining travelers when Aether comes out of the shadows to round them up. Although I guessed something else was going on with that rescue mission and wasn't too surprised when things took a turn for the worse, I had no idea the story would play out the way it did and was truly thrown by that ending. Aside from the alternate futures and changing events, I liked the fact that Elizabeth kept the story pretty fast-paced. There's literally no time to lag because every second counts and if any is wasted, there's a huge chance mistakes could not be corrected. Living up to the excitement of the previous book, Future Threat keeps the intrigue going with the allure of seeing yourself years ahead and by the mystery of who the "villain" is that is causing things to turn ugly for each character. I also love how it almost seemed like they had to make a choice of who would be saved or which future they'd want for themselves. Such an interesting story. I'm definitely looking forward to the conclusion and what Elizabeth does next with these characters. I am going to have to read this series. It really sounds like my kind of read. Glad you enjoyed it! Wow... this sounds like an exciting series! I want to know why they're being dragged back in! This sounds like such an interesting series. I'm glad to hear you are enjoying it. I will have to pick up the first book and give it a try. Please do. It's very interesting!